As an eye care practitioner, your highest purpose would ideally be to offer the best possible outcomes for those coming to you for answers and options. New technological advancements can often mean increasing the level of services available; such as the improvement in production of soft prosthetic contact lenses. By allowing more alternatives in cosmetic color applications, new levels of opportunity have opened up for you and your patients. In order to provide added knowledge and detail, we have chosen to summarize this medical abstract by Dawn Lam, BSc, MSc, OD, FAAO – who deftly advocates that soft contact lenses may be the ideal prosthetic for ocular disfigurement. Dr. Lam leaves little doubt that the functionality and therapeutic effects of these ‘yearly wear’ lenses are capable of producing life-changing results. There are several reasons your patient might be a good candidate. When their eyes have been disfigured from injury or disease, soft prosthetic contact lenses may provide added functionality; such as pupil or iris occlusion for symptoms of photophobia and glare. Other indications included by Dr. Lam are aniridia, iris coloboma, ocular albinism, leukocoria, leukoma, diplopia, micro-cornea, and iris atrophy. Her multiple before-and-after images clearly demonstrate the transformation potential of these lenses. Though colored contacts are claimed to have been invented by multiple companies anywhere from 1981 to 2003, their notoriety was always more about changing your eye color on a whim (or to go with a particular outfit). Little did we know how impactful they would become for so many. These days, colored soft prosthetic contact lenses are giving cosmetic relief to those whose eyes are discolored or misshapen; whether the condition is due to albinism, color vision deficiencies, amblyopia, or other ocular anomalies. Custom tinting techniques can even aesthetically match dissimilar eye appearance, by detailed simulation of the natural eye’s patterns and colors. All three prosthetic soft contact lenses have unique properties, and certain ones are usable for multiple patient types. 1. Tinted Lenses – Uses one translucent color throughout the iris; details (iris nevi, corneal arcus, and pupillary ruffs) cannot be added to the tinted lens. These are a better choice for dark colored irises because their pigment isn’t dense enough to provide a cosmetic match to light colored irises. Dr. Lam describes that another use would be for low vision patients whose visual functions may be improved by wearing a dark filter. 2. Computer Generated Lenses – With predetermined iris colors and diameters, this process still allows the layering of colors to get closer to the right iris color. You can specify the iris to come with either a clear backing, or a black backing for full iris occlusion. Limitations exist; including the number of predetermined colors and diameter choices of templates. Another plus is these are less likely to fade, and can easily be replicated (prosthetic lenses are meant to be replaced annually). 3. Hand-Painted Lenses – You must consult a laboratory before fitting a patient with these fully customized lenses. The lenses are painted by hand to match a detailed photograph of the patient’s eyes. Determining the natural iris color in the examination room (best when painted a neutral grey); with the patient wearing white or black clothing or provided cloth. If the lenses are to be hand painted, you need to have a printer on hand as digital photos will vary in tone from computer to computer. For darker-eyed patients any of the 3 lens types are fine; computer generated and hand-painted lenses are more successful for lighter iris colors. Your patient’s vision must be considered so corrections will be incorporated into the contact lens powers. In addition to base curve and overall diameter, document the normal iris color, iris diameter, and pupil diameter (in both dim and bright illuminations). Your final lens pupil diameter should be determined by the patient’s occupation and normal daily activities. It is critical to successful outcomes that the fit is comfortable and precise. The specific kind of ocular disfigurement – whether an iris or pupil occlusion contact lens (or both) – is needed to properly choose your lens set. For example, Dr. Kim indicates that an opacified cornea indicates both a pupil and iris occlusion are necessary, while a patient with iris abnormality would require an iris occlusion contact lens with an open pupil. 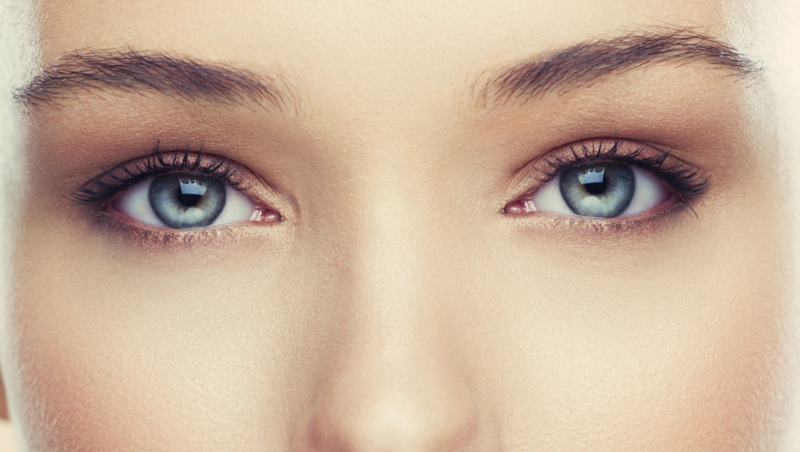 If you have previously shied away from fitting custom color contact lenses in the past, now is the time for you to reconsider what they can offer your patients. Orion Vision Group offers a BioColors Fitting Set to assist you in matching the available lens choices to your client’s eyes. Call our office toll free at (866) 300-6257 to order one today!